Our parks and nature areas continue to thrive largely because of our community support. We thank you for your continued contributions of time and money. Donations range from cash to playgrounds, to benches and trees. 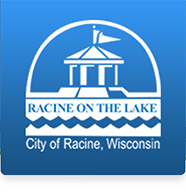 The city applies for grants and other private/public funds to enhance its efforts and stretch available resources; however, donations are important to the vitality of the City of Racine and its mission to preserve our parks and open spaces and provide essential recreation programs and cultural services in a safe, professional and friendly manner. Give a gift that grows! The City of Racine takes pride in its trees. A beautiful tree benefits everyone now and for future generations. It can inspire every, faith, devotion, and courage and carry forward the name of those remembered in a living, vital way that grows grander with the years. Give a gift with a view! Benches provide a place to rest and a peaceful moment to enjoy the natural beauty of our parks. This program is a unique and lasting way to remember those who have passed, honor those who have made great achievements, or celebrate those who have reached a milestone in their lives. Benches are a very popular donation item for parks, the cemetery and the schools. Appropriate bench locations are coordinated with PRCS staff. The City of Racine PRCS department also accepts donations for a number of other special projects or needs. Donors can make contributions for park renovations, youth scholarships, a community center, plantings, programs and recreational equipment.